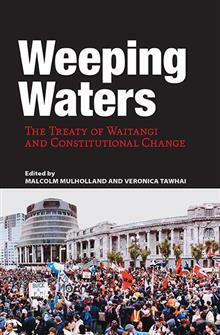 Weeping Waters is a must read for anyone who wants to be informed about the current debate regarding the Treaty of Waitangi and a constitution for Aotearoa New Zealand. The book features essays from eighteen well-known and respected Maori figures including Professor Margaret Mutu... read full description below. 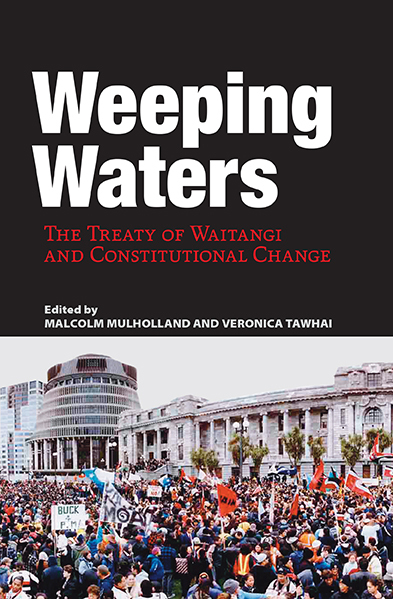 Weeping Waters is a must read for anyone who wants to be informed about the current debate regarding the Treaty of Waitangi and a constitution for Aotearoa New Zealand. The book features essays from eighteen well-known and respected Maori figures including Professor Margaret Mutu, Bishop Muru Walters, Judge Caren Fox and lawyer Moana Jackson. This is the first book in recent years to offer a M ori opinion on the subject of constitutional change. It shows how M ori views have been ignored by successive governments and the courts and how M ori have attempted to address constitutional issues in the past. The book also provides suggestions for a pathway forward if the Treaty of Waitangi is to be fully acknowledged as the foundation for a constitution for Aotearoa New Zealand. Malcolm Mulholland is a writer and researcher and this is his fourth book, following his award-winning Beneath the MAori Moon: An Illustrated History of MAori Rugby (Huia, 2009).